Netflix streaming – they predicted it as somewhere around 4.5 stars for me. I don’t know for sure because they have changed their web interface and I don’t seem to be unable to remove the 5 stars I gave it, to see what their prediction was. Mike Tyson, Evander Holyfield, and Berhard Hopkins. Very famous boxers, and this documentary does a great job of showing us where they came from and what the boxing life did to them. It was a great idea to put the three together into this documentary, though I’m sure that good individual documentaries about each of them are still possible. The story of Bernard Hopkins and his return after serving 5 years of an 18-year prison sentence is moving. Even Mike Tyson seems to be bettering himself now. Netflix streaming. They predicted it at 4.8 stars for me, and 4.0 for the general audience. I’m going to give it a strong 4 stars. 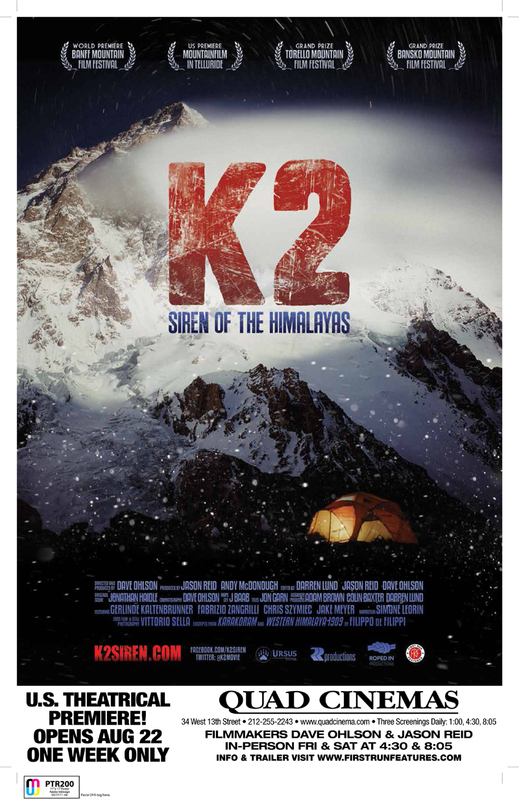 It was interesting to learn that K2 is much more dangerous than Mt. Everest, and that one person has died on it for every four that have reached the summit. It is the second-highest mountain in the world, behind Mt. Everest. Netflix DVD – they rated it at 4.5 stars for me, and 3.7 for the general audience. 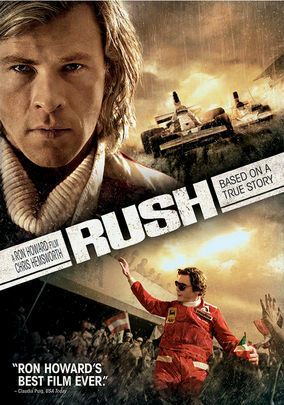 I really liked this movie, which contrasted the personalities of two race car drivers: the Austrian Niki Lauda and the British James Hunt, through the events of their rivalry for the Formula 1 World Championship title back in the 1970’s. Lauda was serious, dour, and not particularly social, while Hunt was a flashy, outgoing party boy, perfectly played by Chris (Thor) Hemsworth. As the movie plays on, you see their grudging relationship grow, to the point where you can say that they were almost friends, in a sort of sibling rivalry sense. They grew to have a grudging respect for each other. Ron Howard is the director, and he did a good job of including scenes that advanced the story at the same time as being entertaining – both serious and comedic. I’m going to give it 5 stars, and categorize it as a documentary, for telling a true story, though no doubt it is far more dramatized than a typical documentary. Netflix DVD – they rated it as 4.3 stars for me, and 3.9 for the general audience. I’m going to give it 4 stars – it was fun to watch, but really, it just boiled down to this guy figuring out a way to paint photo-realistically using mirrors as aids, and recreating a famous Johannes Vermeer painting – a very long, painstaking process. He’s very clever, this Tim Jenison, the guy who created the famous Video Toaster (which I remember from around the time I was taking Digital Art & Design in college). 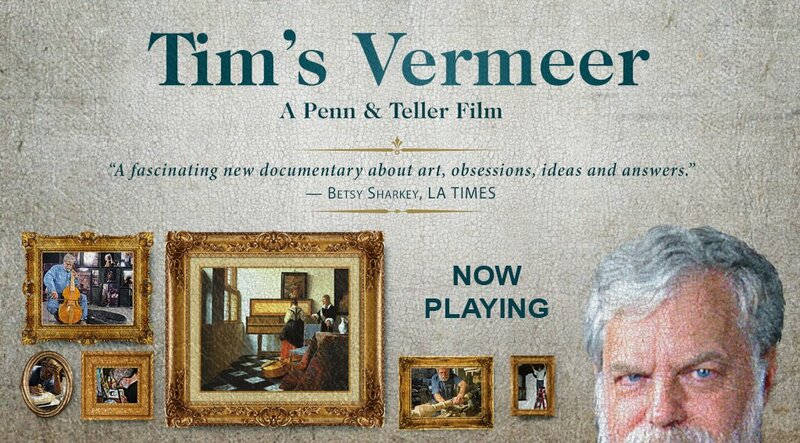 It seems pretty certain that Vermeer himself must have used this process back in the Netherlands in the 1600’s. In a way, Jenison’s discovery is like somebody figuring out how the pyramids were built – if they had been built by a fairly simple process. Netflix streaming – they rated it at 4.7 stars for me, and 4.0 for the general audience. This is a documentary about the first two people to climb to the top of Mount Everest – Edmund Hillary and Tenzing Norgay. I didn’t know that Hillary was a bee-keeper from New Zealand! This documentary/recreation was very well done, and I kept wondering how they filmed some of the climbing scenes – it looked like they were actually up there and climbing to the top of Mount Everest … and perhaps there were – the credits say it was filmed on Mount Everest and in New Zealand. 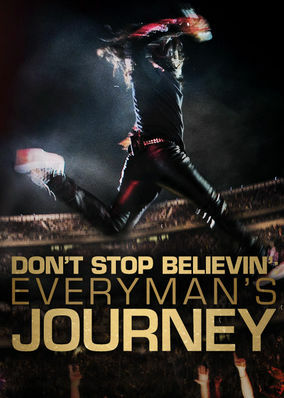 It’s a great story, and a very good documentary, but I’m going to give it 4 stars. Interesting story and beautiful scenery and filming. Netflix streaming – they rated it at 4.2 stars for me, and 4.0 for the general audience. It is an interesting look at current male bodybuilders, following several of the top contenders for the Mr. Olympia title, the one that Arnold Schwarzenegger won 7 times. They are an interesting, and quite different, group of people. Things have changed since the movie Pumping Iron, as far as I know. I mean, I go to the gym in the winters to keep in shape, but I don’t follow body-building at all. I was surprised to see them getting what was basically a paint job, complete with airbrushes, and a phone-booth-like tent to block the overspray. One of them points out how even if most people took steroids like they do, they wouldn’t be able to accomplish what these top guys have accomplished. I’m giving it 4 stars, I enjoy these stories about the people behind the scenes, though I know some people don’t. Netflix streaming – they predicted it at 4.7 for me, and 4.0 for the general audience. I did find it interesting, but gave it 4 stars. 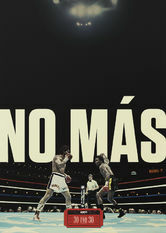 I never did see the incident that the title refers to, but I always assumed that Roberto Duran was sitting on the chair in between rounds and just said that he wasn’t going to come out for the next round. Apparently, that wasn’t the case, and what they set up in this documentary, somewhat of a confrontation 20 years after the incident, seemed to me to be a bit of a reach, and only somewhat gratifying. Netflix streaming – another great sports-related document in this series. They rated it at 4.4 stars for me, the same as for the general audience. 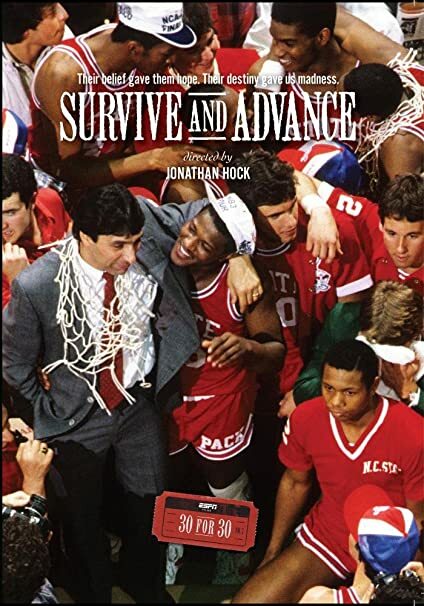 I gave it 5 stars, just for the camaraderie of the team and their coach, and how that was portrayed. It was great to see people of different races getting along so well – something that wasn’t mentioned at all, but that was very apparent. It was a lot of fun to watch the players long after the glory was over, reminiscing about their incredible run – a unlikely and long series of comebacks at the ends of the games they played. Quite exciting and dramatic, and well done!